My name is Kalema and I arrived at Ngamba in 1999. I used to be the alpha male but lost out to Umutama earlier this year. I held the rank of alpha male for a long time so it earned me the nickname ‘The CEO’. 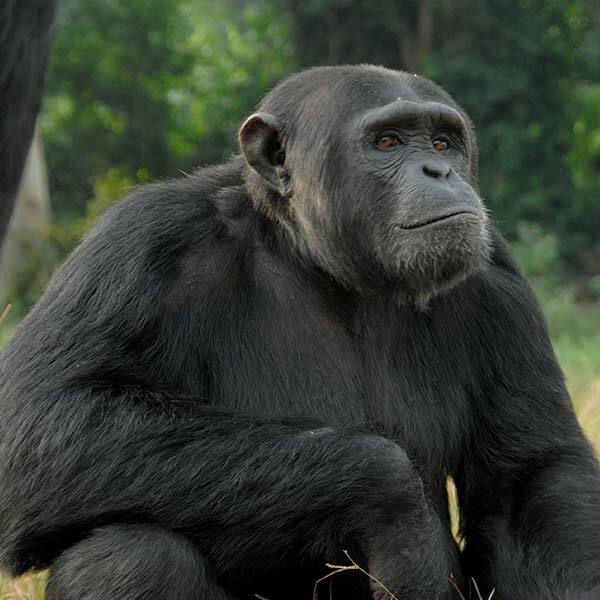 I’m still a very large male and high-ranking and like to site back and watch over the other chimps. I’m named after Dr. Gladys Kalema who rescued me.